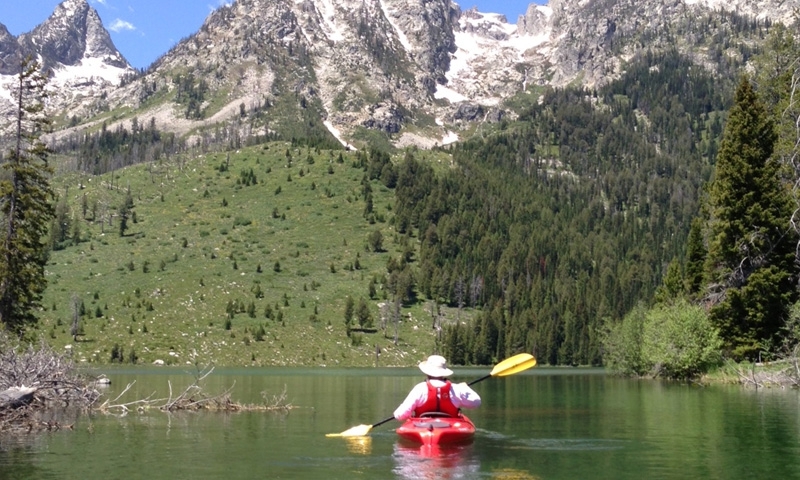 Jackson Hole kayaking and canoeing offers a great escape from the crowds of downtown. From a mellow sea kayak trip to canoeing a quiet section of river to kayaking Class III rapids in the Snake River Canyon, there are options for everyone. Join us for a day on Jenny Lake in Grand Teton National Park! Enjoy spectacular views while you explore the lake from the water with a canoe or kayak rentals. 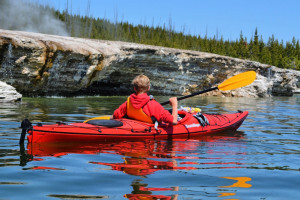 Experience the natural wonders of Yellowstone on an interpretive guided sea kayak tour. Escape the crowds for a 1/2 day, full day or overnight backcountry trips. 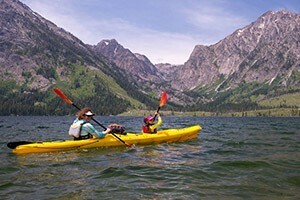 Shurr Adventures offers guided Yellowstone kayaking tours & hikes. Operated by professional naturalists Justin and Alli Shurr. We paddle in small groups only. Starting at just $519/person, experience an exclusive island camp on Jackson Lake, majestic views, guided kayaking, wildlife viewing & delicious meals. Offered on weekends. Discover the tranquility of Grand Teton National Park by water. 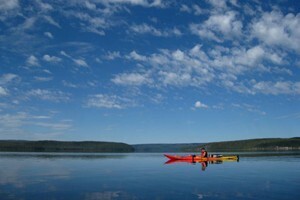 Rent a kayak, canoe or a 15 ft. aluminum craft motorboat for a day on the lake of paddling or fishing. 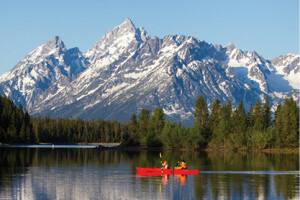 The BEST Rental Canoes, Kayaks & Paddleboards in Grand Teton National Park! Explore the Snake River in Grand Teton National Park. Rentals include PFD's, paddles, straps. Kayak and stand up paddle board specialists. 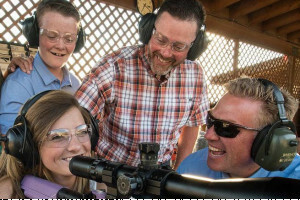 Lessons and rentals available all summer long. Don't just look at the water, get in it! 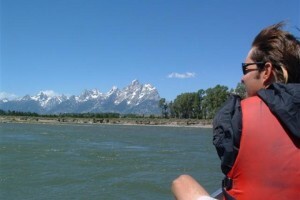 Where can I experience Jackson Hole kayaking and canoeing? The Snake River is easily accessible for Jackson residents and visitors from the Jackson Lake Dam all the way down to Palisades Reservoir. There are a number of sections of river that vary in length and skill. Canoeing: The Oxbow Bend area within Grand Teton National Park is ideal for canoes. 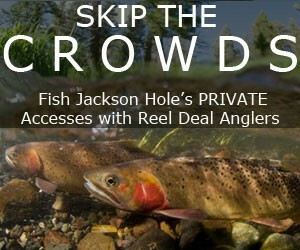 Put in right below Jackson Lake Dam and take-out at Pacific Creek. This 5 mile stretch of water is mellow and offers your best chance of spotting wildlife. 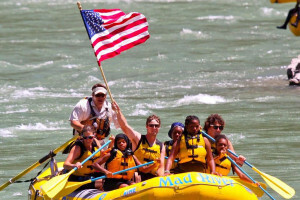 Kayaking: If you are in a whitewater kayak, you'll enjoy the Snake River Canyon the best. A number of Class II and III rapids are fun. Put in at West Table Boat Ramp and take out at Sheep Gulch. SUP: Stand up paddle boards are taking off in popularity and the Snake River offers an amazing river to enjoy this sport. One of the best sections for SUPs is from South Park to Astoria Hot Springs. This unique canoeing experience within Grand Teton National Park is great for a long day or an overnight. Portage: There is a 150 foot portage between String and Leigh Lakes. Camping: There are a number of designated backcountry campsites around Leigh Lake. You can either make Online Reservations or stop by the Visitor Center before you launch. At the entrance to the Gros Ventre Mountain Range, Slide Lake offers peaceful waters for canoeing or sea kayaking. Boat Ramp: Boat ramps are located on the east and west sides of Atherton Campground. The east ramp has a dock. Directions: From Jackson, drive north towards Grand Teton National Park. Turn right onto Gros Ventre Road and follow all the way to Slide Lake. The section between Slide Lake and the confluence with the Snake River is an extreme whitewater stretch of water. 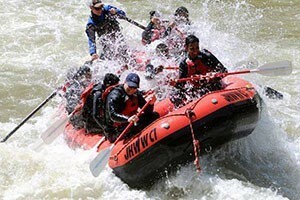 With multiple Class IV rapids, it is recommended for experienced whitewater kayakers only. 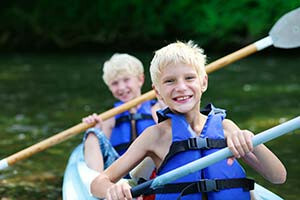 I am looking for a canoe or kayak guide. Browse through the businesses on this page for a local guide to show you the nearby waters.